Loved this photo; the black and white is really special, and the theme of keeping warm really fits!! Great, – it is kind of a igloo! Great; wherever it be, a home is a warm room. Excellent choise and photo, congrats! We are always building small igloos and put candles in them for christmas. So warm and welcoming! I think the black and white treatment really makes it striking. Looks to be a difficult exposure but is done so well. Wonderful work! I love this photo. The uneven shapes of the blocks add so much charm. Phenomenal! Love the light peaking through the spaces. Wow, looks mystical, like something from the Lord of the Rings. 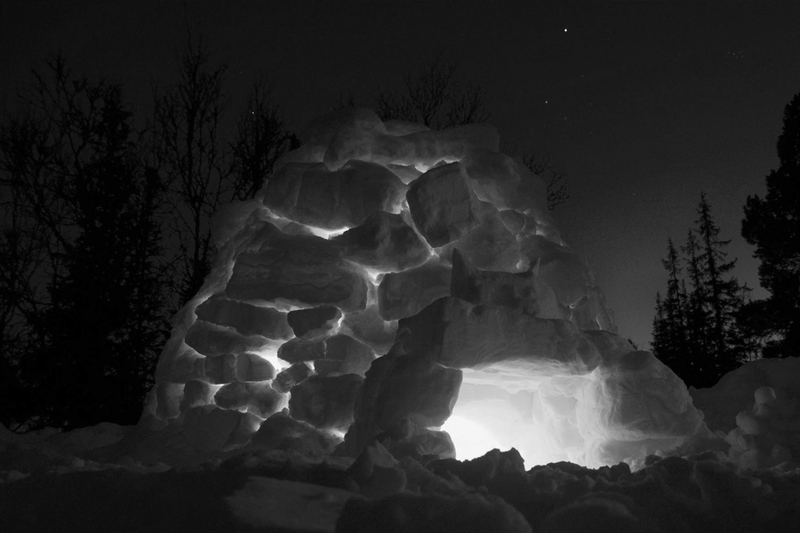 Igloo…..keeping warm…..I’ll say. Holy Cow! This b/w format is excellent.